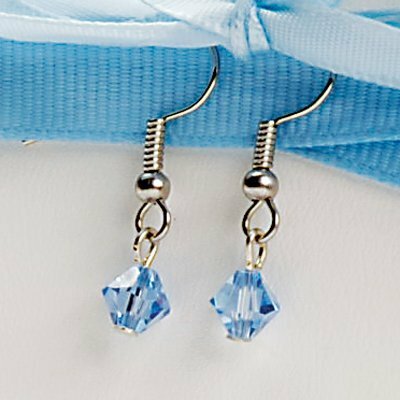 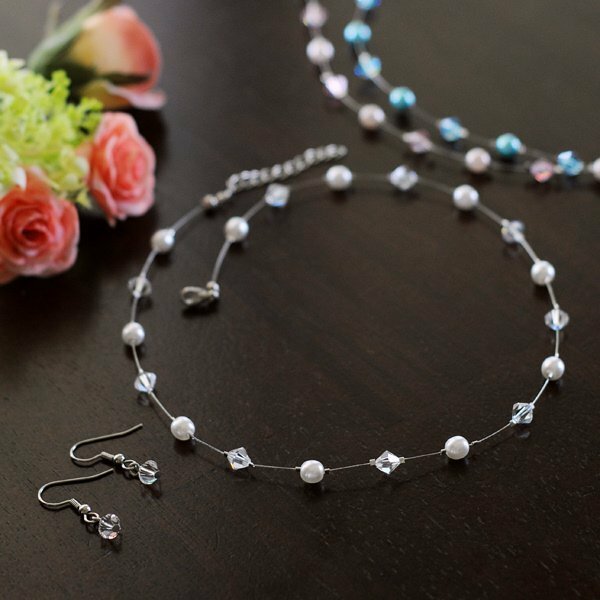 Available in a wide range of colors, this ensemble is one of our most popular bridesmaid jewelry gifts. 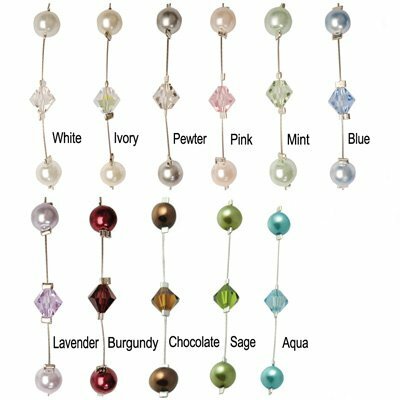 The adjustable necklace (16-18") and pierced earrings (3/4" long) are crafted from colored glass pearls and Swarovski crystals. 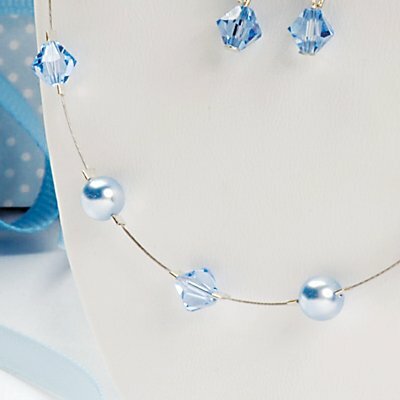 The illusion style necklace allows the pearls and crystals to glide effortlessly on her neckline while the crystals dangle softly from her ears with this gorgeous set.